We are still seeing WBC trap counts going up in most counties north and east of Perth. That means that WBC moth flight has not yet peaked in those counties. This is important because this also means that we haven’t reached peak egg laying in those counties and that there are a wack of moths flying around looking for somewhere to lay their eggs. Where do they go this time of the season? Late planted corn fields that are still in the early pollination stages (i.e. 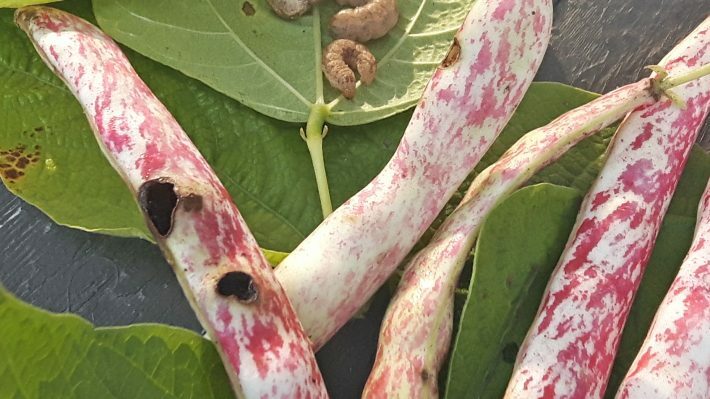 silks have not dried down yet) and edible beans. For edible beans, it is not as straight forward. Unlike in corn, WBC are nearly impossible to find in dry bean fields until pod feeding begins. Trap thresholds used in Nebraska have been found to be too high for the Great Lakes Region. 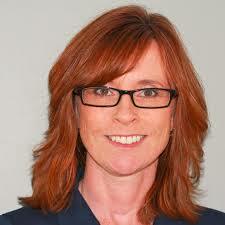 So we rely on research and experience from Michigan State University. Pheromone traps can still help indicate which fields are at greater risk though. Traps at dry bean fields that capture an accumulation of 50 or more moths per trap are likely at greater risk and require scouting for pod feeding. Pod feeding is expected to begin 10 to 20 days after peak moth flight has occurred, as indicated when trap counts begin to decline after weeks of steady increase. Prior to pods being present on the plants, scouting for egg masses in adjacent cornfields can also help determine what the local WBC populations are like. If any of the corn fields in the immediate area are past early tasseling, the dry bean fields will be more attractive for the moths. If an adjacent corn field reached the corn egg mass threshold and required spraying, the dry bean field is also likely at risk. Once pods are present, scout 100 plants (10 plants in 10 areas of the field). Look for signs of early surface feeding or holes going directly into the pod. If pod feeding is easily found, a spray application is necessary. Control is still very effective when done as soon as pod feeding is found. 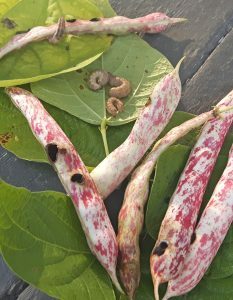 WBC exit and enter new pods each night, so insecticides still work at controlling the larvae, as long as the pods are present during the application so that there is residue left on the pod surface. Spraying too early when pods are not present on the plants will not protect the crop from damage. Spraying too late, when pod feeding has been taking place for some time will not reduce the risk of seed damage and pod disease incidence. The key is to protect the plants when the larvae are feeding on the pods. We are continuing efforts in researching WBC in dry beans. A collaborative effort is underway this summer with OMAFRA (Meghan Moran and myself), UGRC (Chris Gillard) and Hensall District Co-op (Jim Barclay), collecting data from a number of side by side corn and dry bean fields, in hopes of increasing our understanding of this pest and dry bean risk factors.